An extra from the flower the same bunch as the roses. I love the petal shapes, but these were quite pale in comparison to the roses, so the rose won the place in the rainbow. 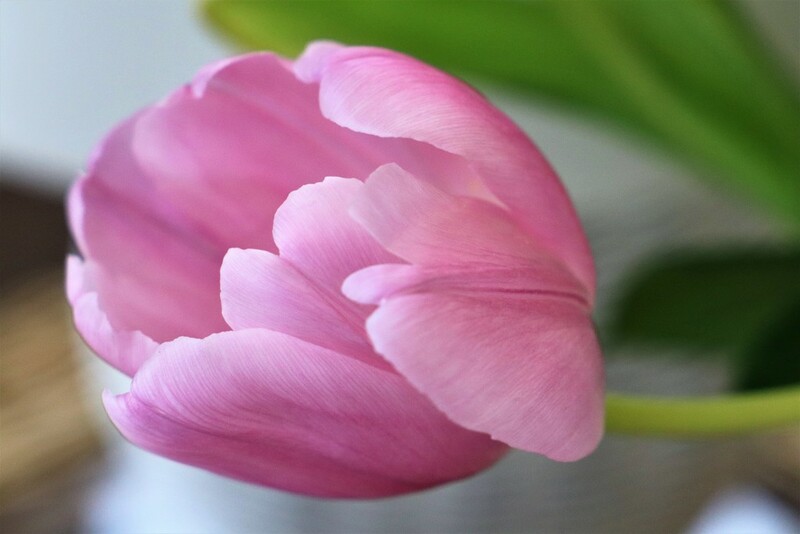 Such a delightful image - love the delicate pink , the form , clarity and the light on this beautiful tulip - huge fav ! Such a pretty soft pink tulip.